McALLEN — Five former employees of Justice of the Peace Homer Jasso Sr. filed a wrongful termination lawsuit late last month against the longtime JP and Hidalgo County here in federal court, alleging he fired them two years ago believing they favored a political opponent. Former employees Roberto Leal, Janie Riojas, Arturo Alvarado, Jaime Gamboa and Patricia Garza accuse Jasso of “systematically” terminating them during the last week of August 2016, three weeks after Mary Alice Palacios, according to the lawsuit, announced she would run against him for the Precinct 4, Place 2 seat in the March 2018 election. Palacios previously held the seat from 1999 to 2010, when the State Commission on Judicial Conduct suspended her after being indictment on official oppression. She was convicted of those charges in 2011 and later acquitted in 2014. 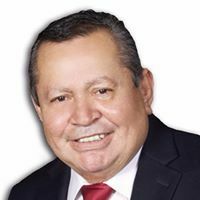 Following her suspension, the Hidalgo County Commissioner’s Court appointed Jasso to preside over the seat for the remainder of her term, and in 2014, he was elected to the Edinburg JP seat for a four-year term. The Aug. 21 lawsuit comes a few months after the judicial conduct commission issued a public reprimand against Jasso in April for violating the Texas Code of Judicial Conduct. As part of its review of the JP’s behavior, Jasso appeared before the commission, during which he “testified he terminated the five employees for ‘political reasons,’ after they had expressed support for his opponent in the upcoming election,” according to the reprimand cited in the lawsuit. Jasso could not be reached for comment. The reprimand was issued weeks before the May 2018 runoff election for the Precinct 4, Place 2 seat, in which Jasso narrowly defeated attorney Armando Guerra to keep his post for a second term. Palacios, despite any announcements made in 2016, did not run in this year’s election. Leal, Riojas, Alvarado, Gamboa and Garza are seeking damages in lost wages and employee benefits, and that Jasso and the county “reinstate (them to their) former or an equivalent position at a comparable rate of pay.” The plaintiffs are asking for compensation if not reinstated. The parties are scheduled to appear in McAllen’s federal court in November for an initial pretrial and scheduling conference, according to court records.